October felt like it came and went by in a flash, don’t you think? its hard to believe we’re in our final two months of the year, all of which contain so much excitement, joy and festivities so I’m very much looking forward for whats to come. Furthermore, although the month may of gone faster than many of us may have liked, throughout the month of October I feel as though I found/tried some items which quickly became my favourites and part of my everyday routine. Wether thats skincare, makeup or life in general, these items have certainly made an impact in my life which is why I feel obliged to share them with you all today. Clinique, Pep-Start Eye Cream | £22.50 : I actually got this as a Christmas raffle prize back last year but I never really took any notice of it until now. This eye cream can transform my under eyes from dull and incredibly dry TO hydrated and bright. I’d personally say this ‘perks me up’ and gives me that cooling touch to keep my eyes looking fresh throughout the day. I use this during my morning skincare routine so that makeup applies perfectly under my eyes whilst my under eyes are staying hydrated throughout also. Revolution, Hyaluronic Acid, Plumping & Hydrating Solution | £6.00 : Revolution have only just released their new skincare line, and honestly its taken over the beauty industry by storm (as their makeup products continuously have this year, also). As you know, my skin is unbelievably sensitive meaning, not many skincare products agree with my skin but thankfully this one has! Honestly, I want 1000 more bottles as this is liquid gold. This is the ultimate skincare item for dehydrated skin, as hyaluronic acid attracts moisture to the skins surface and this helps to smooth the complexion. I’d personally say this is PERFECT for those of you who are like me and struggle to apply foundation as your skins dry – apply this before hand and notice a difference instantly. Its oil-free meaning it will also work for those of you with oily skin types also. id highly recommend! Barry M, Holographic Eyeshadow Toppers | £4.99 : Liquid eyeshadows have certainly become one of the biggest beauty takeovers of 2018. When Barry M came out with their own range of Liquid Eyeshadows, of course I had to get my hands on them! Not only do they have the most crazily, beautiful pigmentation, but they glide onto your eyelids smoothly giving even coverage. Each of the eyeshadow toppers have a non-sticky formula meaning they won’t transfer onto the rest of your eye look. This holographic eyeshadow topper specifically comes in four, reflective, iridensent shades which look beautiful for any eye look! Benefit, Precisely My Brow Pencil, Shade 3.5 | £20.50 : If you’ve been a long term reader of mine, you’ll know that Benefit is my go-to brow brand! For a while I was using ‘Goof Proof, Brow Pencil’ but it just wasn’t working for me so I brought the Precisely My Brow back into my life and I honestly couldn’t recommend this product enough. It has an ultra-fine tip which allows you to mimic brow hairs finely, glides on effortlessly and applies the perfect amount of colour when pencilling in your brows making them even! Even comes with a spool built in, what more could you ask for? Revolution Pro, Refill Glitter Eyeshadow Pack In Glisten Here, Glisten Up & Stop, Look and Glisten | £6.00 Each : These refillable glitter eyeshadow packs each contain 5 uniquely coloured single glitters to help you build your own custom palettes. Each of these glitters are extremely pigmented and buttery which helps each shade to glide onto the eyelid and blend out seamlessly. Recently, when going into superdrug, I noticed a new pack of glitters sitting their staring at me, of which were called ‘Stop, Look and Glisten’. Each such a rich, beautiful colour. YSL, Black Opium, Eau De Parfum, 30ml | £44.95 : Black Opium is the newest fragrance by YSL which I fell adoringly in love with whilst on holiday in Benidorm back in June this year. Im usually quite a fruity, floral perfume kind of girl, yet this perfume just completely took over my mind and it was all I could think of and smell for days upon days. Which obviously meant I had to purchase it so I could wear it everyday of Autumn! logic right? ‘With notes of coffee, complimented by pink pepper and heart notes of vanilla, jasmine and orange blossom, drawing close to with base notes of cedar and patchouli’ this Black Opium perfume opens every door of smells. id highly recommend if your looking for a scent which will last all day, people will continuously compliment you on and you’ll forever be at awe with. The Housewives Of Orange County | ITVBe : Watching the Housewives has become a daily occurrence of mine, every afternoon I tend to put them on and honestly I’ve become so invested in their lives, it’s a joke haha. Learning about each of their lives, throughout each season has become so fascinating to me. Especially, as each of them live a lifestyle so different to mine; constant holidays, designer buys, building multi million-pound houses from the ground up, dinner parties and so much more that it entertains for hours on end. I’d highly recommend watching if you want something to binge watch during the week! The Haunting Of Hill House | Netflix : This is the newest horror to take the world by storm. I think everyone and their pet pigeon have watched this and why wouldn’t they because it’s a blooming good series! Currently, they’ve only released series 1 which has 10 episodes, all of which will make your heart jump into your throat. It’s certainly a gripping series, we watched all 10 episodes in under 72 hours and I can honestly say it’s one of the best horrors Netflix has brought out this year. With thrills, confusion, horror, fear and excitement all muddled into one, you can’t go wrong really. thats it for my October Favourites my loves. are any of these products on your favourite list this month? if so what items? or if not, what items are on your favourite list? as I’d truely love to know (I may need to make a sneaky purchase of the items you mention myself). I hope November is treating you well, and your ready for the festive, seasonal fun ahead. 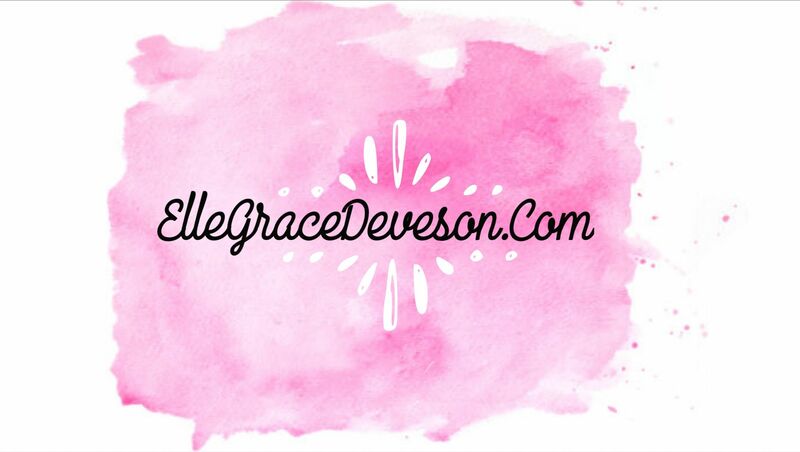 Plus, the blogposts I’m ready to fire your way, eek! Previous Post Insta Accounts That I’ve Been Loving This Autumn! Next Post Stocking Fillers For Young Women Under £5 | BLOGMAS, Day 1!